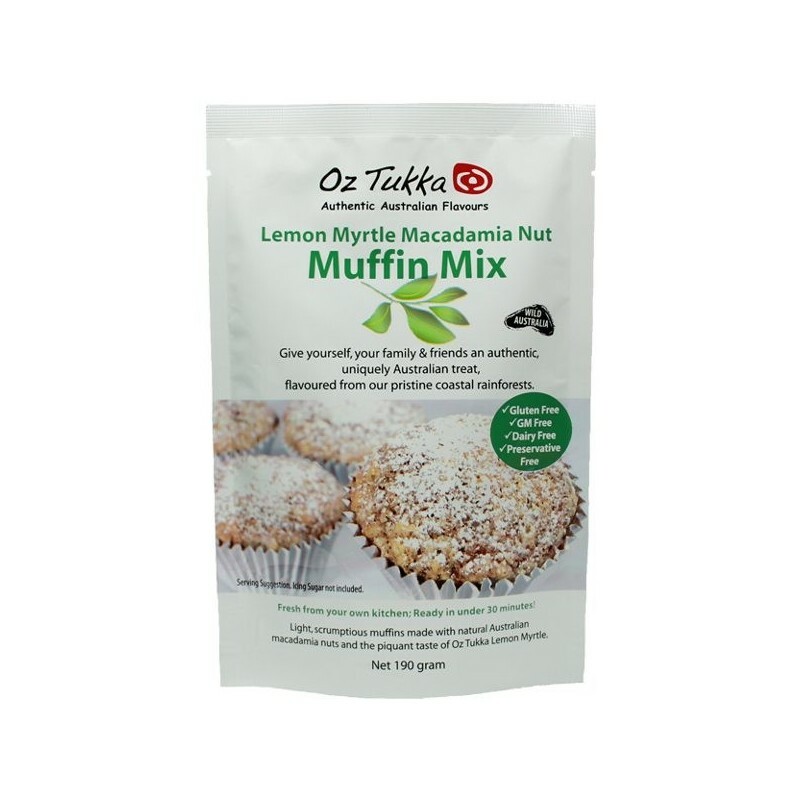 Light scrumptious muffins made with natural Australian macadamia nuts and the piquant taste of Oz Tukka Lemon Myrtle. 190g net. Give yourself, your family & friends an authentic, uniquely Australian treat, flavoured from our pristine Costal Rainforests. 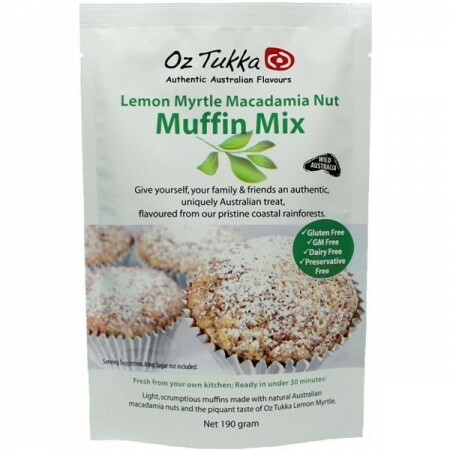 Light, scrumptious muffins made with natural Australian macadamia nuts and the piquant taste of Oz Tukka Lemon Myrtle. Fresh from your own kitchen; ready in under 30 minutes! One mix will make 12 mini, 9 midi or 6 big muffins. Can be made as a slice. Free from gluten, dairy, preservatives, artificial colours, and GM ingredients. Ingredients: Gluten free flour, sugar, macadamia nut, baking powder, Oz Tukka lemon myrtle, guar gum, salt. Nice for something different. I used macadamia oil, made it as a slice and it worked great. Quite lemony so wouldn’t have all the time but every now and then for something different. These were yummy and I also now buy them for presents and secret Santa because it's a good price.